A brilliant little place that epitomises European city cool, you find SOK Espressobar on Hartenstraat 34. A pop-up espresso bar open for only six months until sometime in the late summer/early autumn (for now) that serves brilliant slow drip, espresso and what-have-you by some of the Netherlands best baristas. 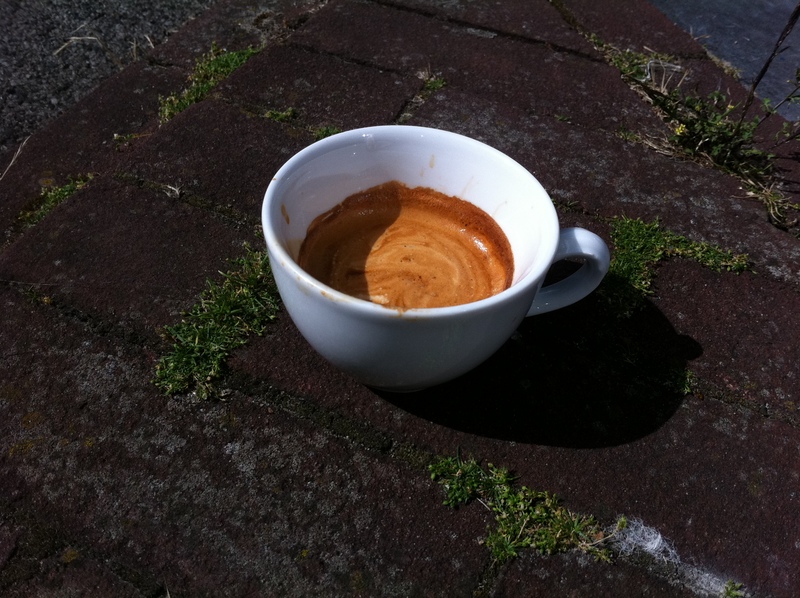 Not to mention it is close to another favourite of mine, Screaming Beans, so you can actually have some of the best coffee in Amsterdam in the same street, just walking between the two establishments enjoying wonderful shots of C8H10N4O2. I had my normal short macchiato and it was just like I expected from a place like this; perfect aroma, smooth espresso and a good milk foam. This is, apparently, also one of the rare places in Amsterdam where they know how to froth the milk perfectly. Molto bene signori, grazie! And more importantly, my macchiato didn’t turn out like a cortado with equal parts espresso and milk foam as has happened at a few places recently. A macchiato is a macchiato and a cortado is a cortado. Basta cosí. Get it right guys. Though, I need to stress, SOK Espressobar is not guilty of this mix-up. They know exactly what they are doing. This place is so small and tiny sitting inside is virtually impossible. But that’s not what they seem to aim for. You get your coffee and then sit outside by the canal like I did. I love that about Amsterdam, the sitting on the canal-side enjoying the sun, and for that SOK Espressobar is ideally situated just by Keizersgracht. 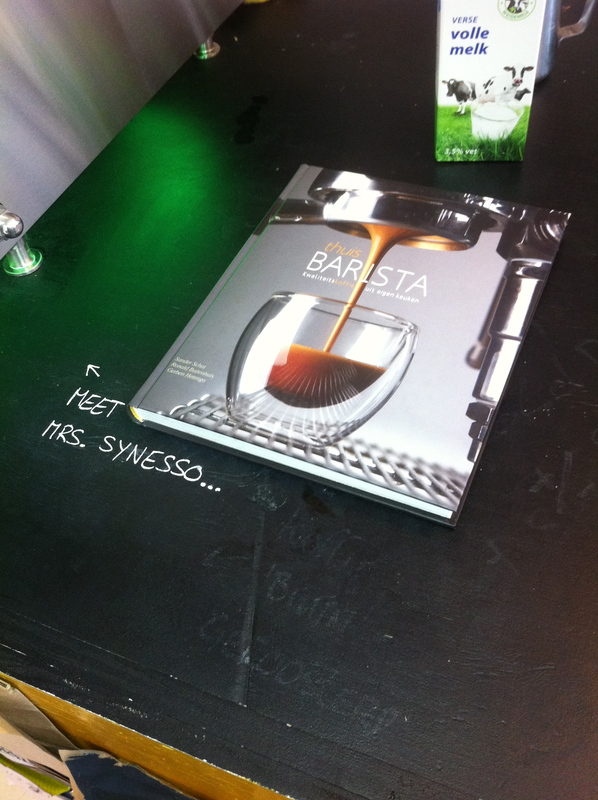 A small chalk note on the bar saying “Meet Mrs. Synesso” and an arrow to the coffee machine made me smile too. Humour and good coffee seem to be a good, contemporary mixture. 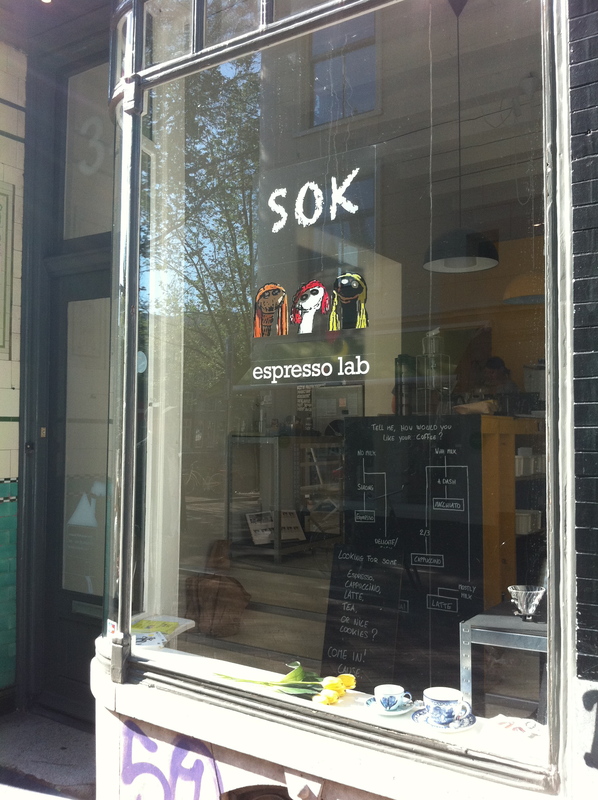 So, go there and try out SOK Espressobar’s coffee if you’re in Amsterdam visiting in the late summer. They close in just a few weeks, so hurry up!